3aIT can build your entire website from scratch, or help spruce up an old one. We can provide web hosting options for your site once complete. We also specialise in a variety of web-based management systems that are tailored to meet your individual needs and circumstances. We can build custom modules and features to Joomla, WordPress, Prestashop and many other content management systems. We pick the best CMS for your project rather than make it fit a single "favourite" as some web companies do. As development process commences, we can provide access to ongoing test versions to monitor progress. Ensuring that all websites we create work just as well on a mobile as they do on a widescreen monitor. We can build your site with a bespoke design, but are equally comfortable using an off-the-shelf solution. 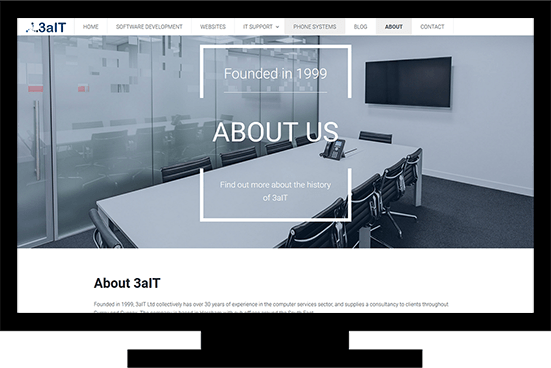 3aIT have been building websites and web applications for over 15 years. We love taking on new challenges and getting into the nuts and bolts of the problem. With an agile approach to project management, we establish the priority of features, then these will guide our project plan. Joomla tends to be 3aIT's CMS of choice for any medium to large scale website. While we sometimes recommend Wordpress for smaller sites, Joomla is designed to be a fully functional CMS from the ground up. Therefore it is better suited to websites that need more than just a few pages and a contact form. It is also designed to make it as easy as possible for other people to extend it as necessary to write bespoke sections that can help create the website perfectly tailored to your business. Very simple to update your website yourself. Alternatively, we can manage your content for you. Keep costs down by picking from a vast array of pre-designed web templates, or we can design a bespoke template tailored to you. 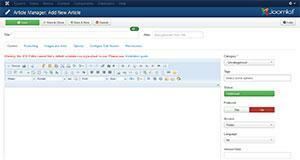 Features such as user login, blogs and contact forms are already part of Joomla, so can be easily enabled. 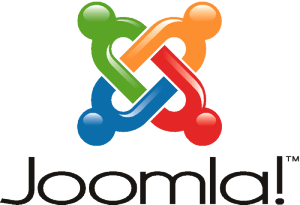 As Joomla is an industry standard CMS, there is already a massive library of extensions that can be added to your site that can separate your site from the crowd at very little extra cost. Calendars, forums, galleries, mailshot systems, social media integration, and much much more. Sites can range from just a few pages, to hundreds! Some of 3aIT's flagship sites are built using Joomla. 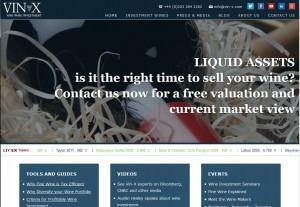 NU Currencies: This website is based on a 3rd party template which has been customised to the client's specification. Future planned updates include a live price feeds and client logins. 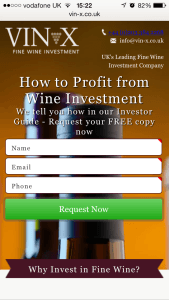 Vin-X Wine Investment: This website featured attractive sliders, twitter feed integration, a dynamic “news style” front page, bespoke landing pages for Google Adwords campaigns. All using either out of the box functionality, or 3rd party extensions. This way, we were able to create a fully featured website while keeping development costs to a minimum. GXG Markets: This website contained many bespoke areas built on top of the more bread and butter things that Joomla can do out of the box. Although the market has sinced closed, you can read the case study for more details of how we put this site together and the features it included. While Joomla is our CMS of choice for larger, more complex websites, we often recommend Wordpress for smaller sites. 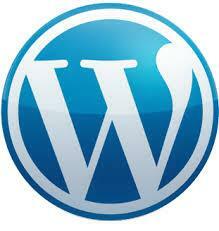 Wordpress is primarily a blogging platform, but can be extended to create great small-scale websites. Due to its ubiquity, there are literally thousands of off-the-shelf themes and plugins that can be used to give your website the look you are after without the expense of a bespoke design. Probably the simplest mainstream CMS to use - great for small sites. Alternatively, we can manage your content for you. Huge array of off-the-shelf themes and plugins to allow us to build your website quickly and cheaply. When your website is created, it will (certainly if it has been created by us) be running the latest version of Joomla or Wordpress. However, these CMS systems get constant updates. Often these are minor updates - security fixes and the like (although in many ways these are the most important). Sometimes, the updates are much bigger and include new features. This is where a CMS Maintenance contract is useful. It is very important that your CMS continues to be updated to these new versions. Nefarious website hackers are always looking for ways into people's websites, and an out of date version of Joomla or Wordpress is a very easy way for them to compromise your website. Your website hosting provider may be forced to disable your website at this point if it is causing a risk to their server. CMS Maintenance Contract - Option 1: Within 2 weeks of a new Joomla or Wordpress release, we will backup your site, perform the upgrade, do a quick test to see if it’s working, then let you know the upgrade has been completed. If anything breaks during this process, we will roll back to the backup, and any fixes that are required will be chargeable at this point at our current hourly rate. Note: While this update procedure can be run on any version of Joomla or Wordpress, if you are running a particularly old version of one of these CMS systems, it is highly unlikely that the upgrade will succeed without intervention. In this case, we would advise moving your website to our testing servers so we can perform a detailed examination of your site so we can advise on the best way to proceed. CMS Maintenance Contract - Option 2: As above, but any fixes will be included in the price. 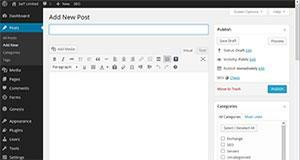 Note: This option assumes a starting point of the latest version of Joomla or Wordpress at the time. If your CMS is older than this, we will deal with the process and initial costs of upgrading to the latest version on a case by case basis. Minimum contract term is 1 year. Which CMS Maintenance option should I pick? Most of the time, the upgrades to Joomla or Wordpress take just a few minutes, and go without a hitch a considerable percentage of the time. However, when significant changes are made to any CMS platform, the corresponding fixes and adjustments can take hours, or sometimes days to undertake. We cannot really predict these changes in advance, or know exactly which changes may impact your site in such a way that it will break. Generally, it’s the major version upgrades that tend to require extra work to implement. At the current rate of release, these tend to happen every 1-2 years. That’s not to say that a smaller update won’t ever need attention, or that a major version update will definitely break your website. Option 2 is basically a “CMS insurance policy” to give you the option of spreading the cost of likely work that will need to be undertaken to your website in the future. Our hosting servers all run Apache and therefore are unsuitable for sites written in ASP. All hosting invoiced a year at a time unless otherwise agreed. Ensure you have read and agree to our hosting terms and conditions before entering into a hosting contract with us. We offer a range of competitive hosting packages which are outlined above. Ongoing telephone and email support of your package is included in the price. If you have specific hosting requirements that are not met by any of the packages outlined above (dedicated hosting, for example), please contact us to arrange a quote. If you aren’t sure what hosting package would suit you best, get in touch with us and outline your requirements, and we’ll help you find the best option for your needs. All charges include domain registration or renewal fees (as applicable) and maintenance. This web page will be updated with any changes to pricing. When your domain and/or hosting is due for renewal we will contact you via email quoting any changes in pricing. If you need any changes to be made to a domain that we host (eg DNS changes, updating contact details, etc) please contact us with the relevant details and we will make these changes for you. There is be no additional fee for this service. Changes should be completed within 48 hours. We will notify you once changes are complete. You will receive an email advising of impending renewal at least a month before renewal is due. Unless otherwise advised, we will email you using the address that you provided to us initially. This email will contain details of any charges and notify you of any action that needs to take place in order to renew your service with us. It is your responsibility to tell us if your email address changes. You may lose your domain if we are unable to contact you via email. If you have any queries, comments or complaints regarding our domain registration or hosting services, please contact us and one of our team will be able to assist you. Please note: When you register a .uk domain name you are also entering into a contract with Nominet Plc and you agree to their terms and conditions. This is a separate contract to any you may have with us for the provision of Internet services. Please read before requesting a domain registration. What are Responsive Web Apps? A web app differs from a “full-blown” app in that the user doesn’t have to install anything on their device to see your app. It is viewed using the device’s web browser. In other words, it’s a web page that has been heavily customised to look great on mobiles and tablets. We have been expanding our Web App Design and Development offerings to provide our clients with bespoke mobile phone and tablet web applications. Why use Responsive Web Apps? The obvious advantage a web app has over a software app is that you only need one version of your app running for all platforms and devices. As it’s just a web page, it doesn’t matter if the user is using an Android phone or an iPad – they will get a consistent experience without the additional overhead of having to create installable apps for every mobile platform. This also removes the necessity of having to comply with the varying rules that the mobile operating system providers impose on their app stores. As long as the device has a web browser, it will be able to use your app. If one can do all this within a web page, then why bother with installable apps? In some cases people just assume that an installable app is the way to go without considering the extra costs in doing so, and the extra effort required by the end user to use it. That said, installable apps do have their place. Aside from the prestige of having an app (or series of apps) for your company in an app store, there are some things a web app can’t do. It can’t send out push notifications to a device to alert the user to important events. It can’t read data off of their device, and it can’t provide a full screen experience as it is tied to the constraints of the web browser. 3aIT’s web app design has included a web booking application for rug cleaning rental company Rug Doctor. 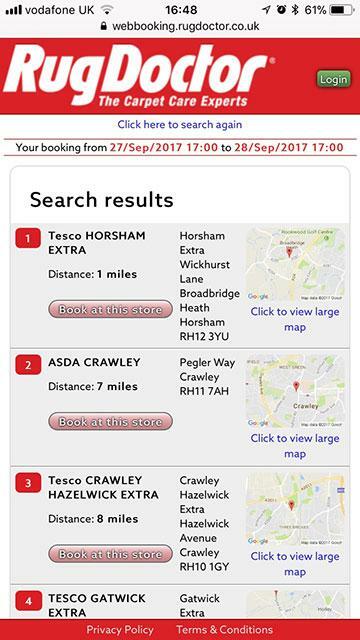 This web app provides a version of their booking system that is optimised to provide a much more user friendly experience when using a mobile device than forcing users to make do with the desktop optimised view. If you would like to be able to offer responsive web apps to your users on a mobile or tablet which are cross-platform on IOS and Android, then contact us now. We have been expanding our Web Application Development and Design to provide our clients with bespoke mobile phone and tablet web applications. This has included a Web Booking application, PPC Landing pages with rich video content and internal management tools for tracking logistics. If you need to access key company data on a mobile or tablet cross-platform on IOS and Android, then contact us now.